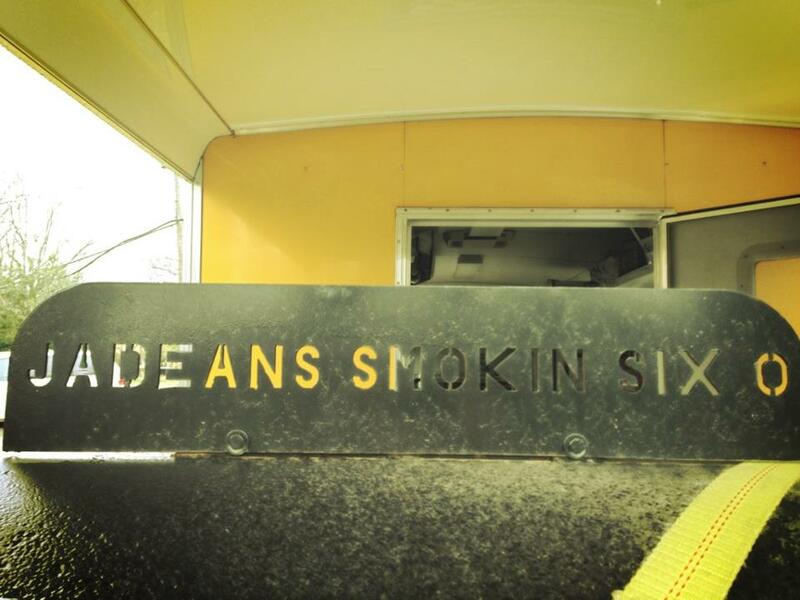 There’s a new BBQ truck at the South of the James Market, but Jadean’s Smokin’ Six 0 is anything but new. They’ve been smoking butts, ribs, and turkey legs since 1976. My personal rule of thumb is to not trust any BBQ if you can’t see the smoke. 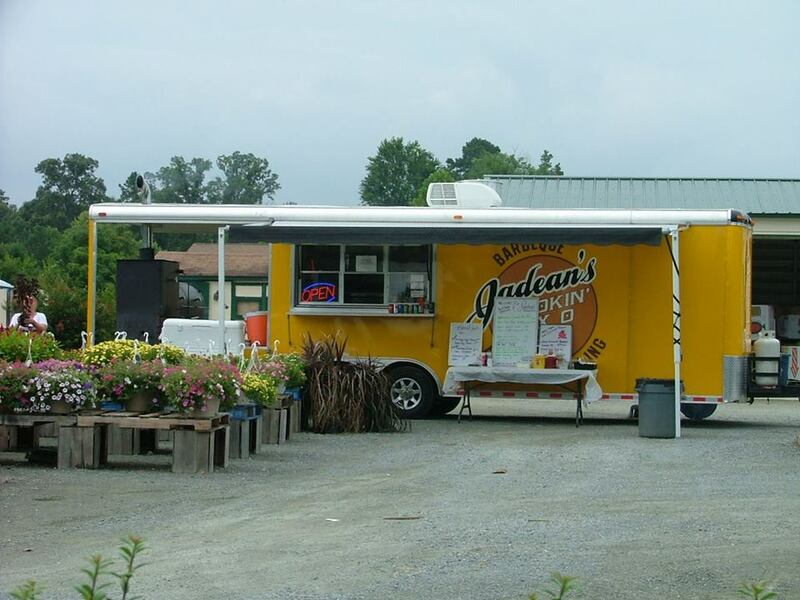 You can trust Jadean’s and the custom smoker they tow along from festivals to markets to private parties. If early morning BBQ isn’t your thing (I don’t get you,) Jadean’s has breakfast sandwiches from 9-12 at the South of the James winter market in Forest Hill Park. Jadeans Smokin Six O has been SMOKING up a storm since 1976. Specializing in apple wood smoked BBQ, Chicken, Ribs, Turkey Legs and Sea foods. Also, Breakfast Sandwiches, Fried Fish, Crab cakes, Shrimp baskets, Oyster baskets, Smoked Mac-n-Cheese, Shrimp and Grits, Soups and lots more, as well as down home prepared meals. We are a family owned and operated catering and concession business. We are chefs with years of experience in the food service business. Our 2012 custom built 28” mobile kitchen is quite a crowd pleaser. We are self contained and powered. We have a back porch on her with a custom 25 R reverse flow smoker. It stays smoking for the whole event as the aroma of apple, peach or hickory smoke fills the air. A mobile kitchen of this size requires a lot of attention, so we are constantly cleaning, Cooking and Marketing our business. Our Smoked meats and (from scratch) southern sides are what people enjoy the most. Since we are major foodies, we love trading or buying from other food vendors. This leads us to tasting great food, meeting great people and making good friends in the whole market. Dean and I love food, travel and people, our business allows us to do what we love.